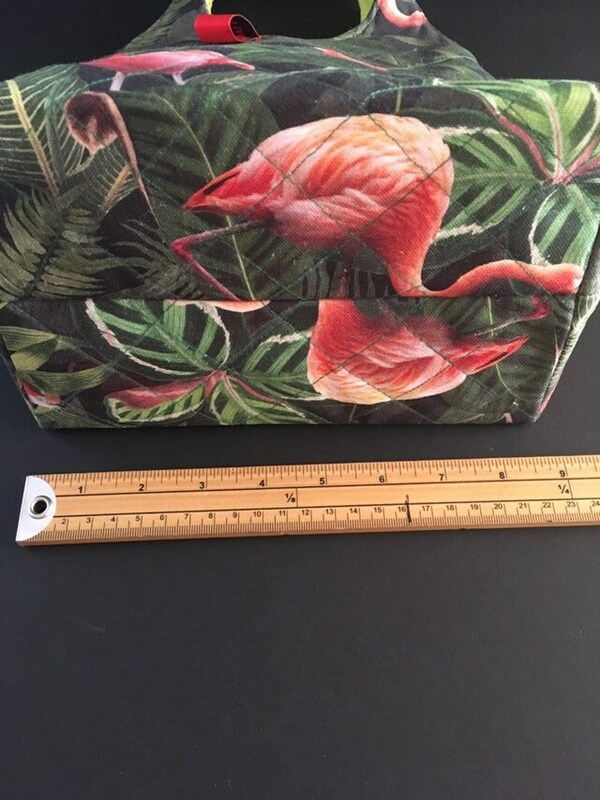 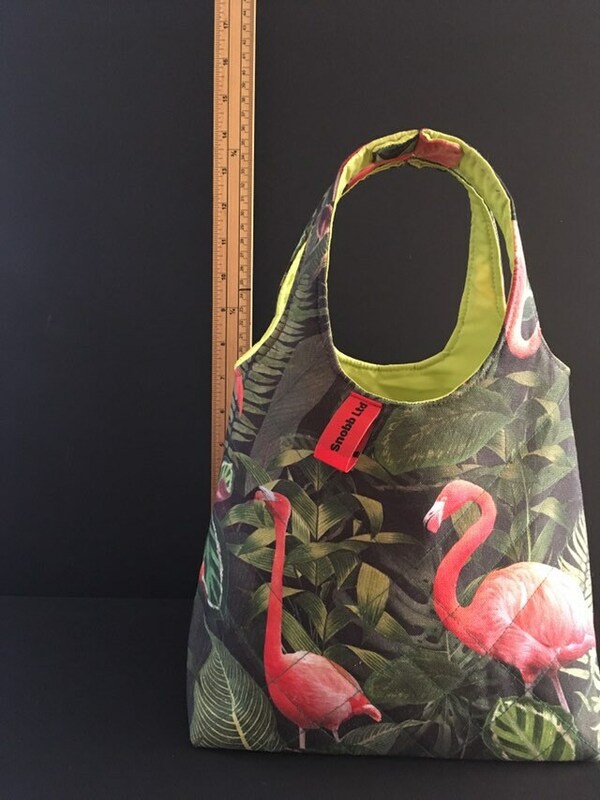 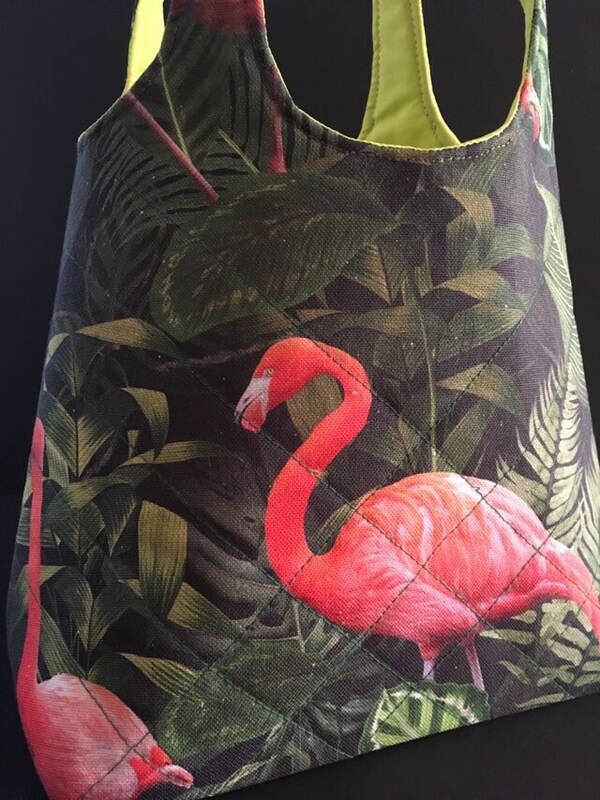 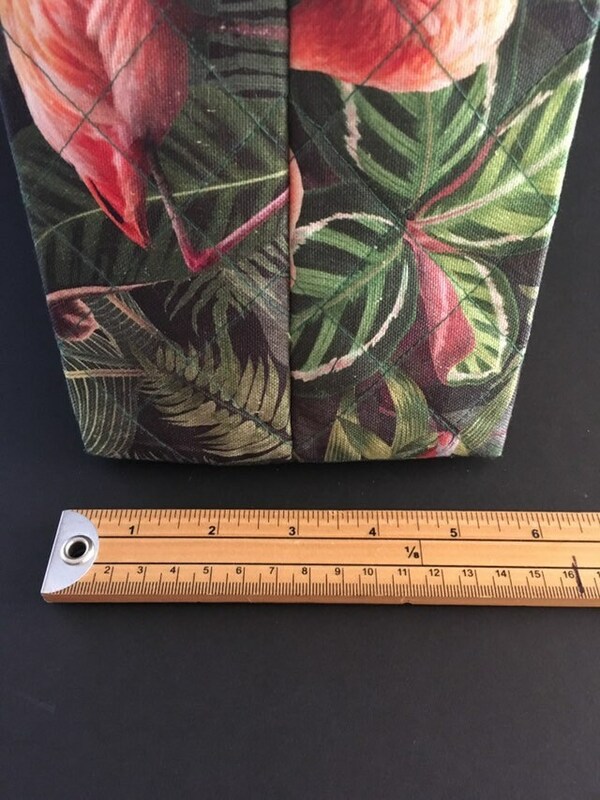 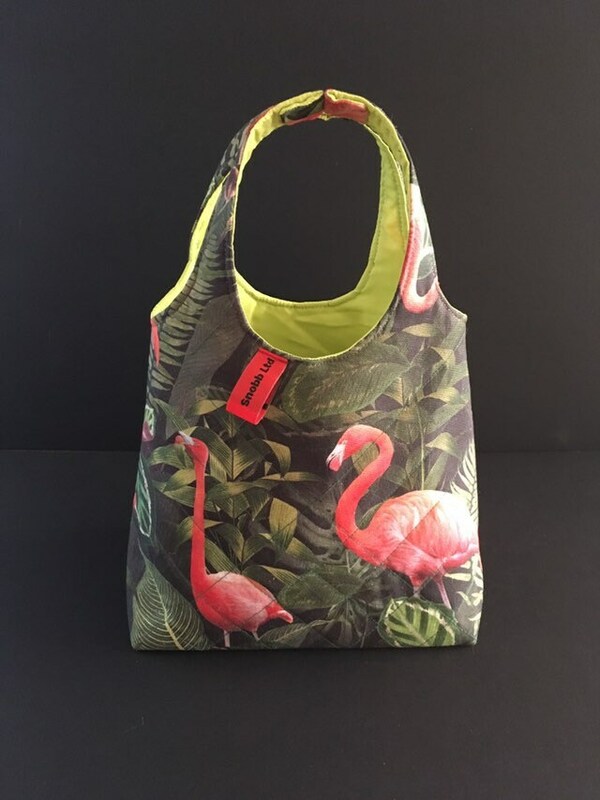 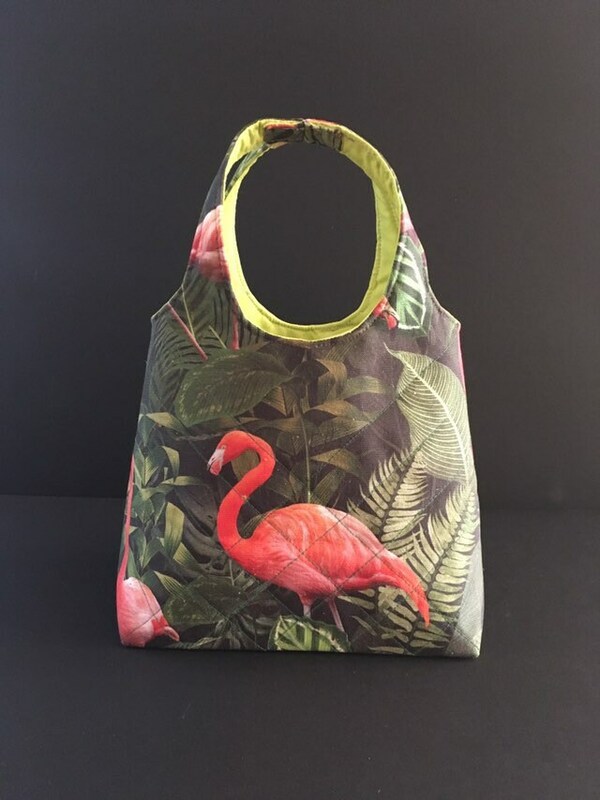 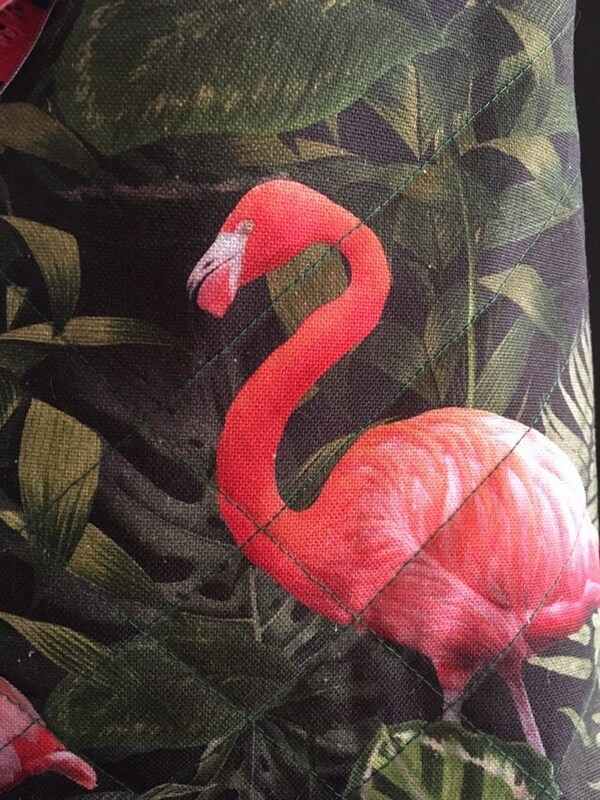 S - 751 Toddlers shopper/ lunch bag with flamingos ! 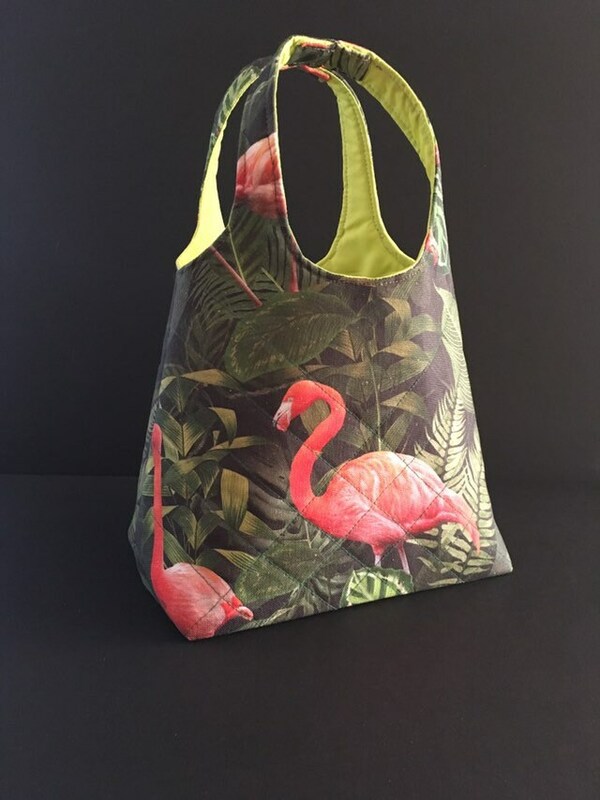 Fun little bag that can be used either as a toddlers shopper or lunch bag. 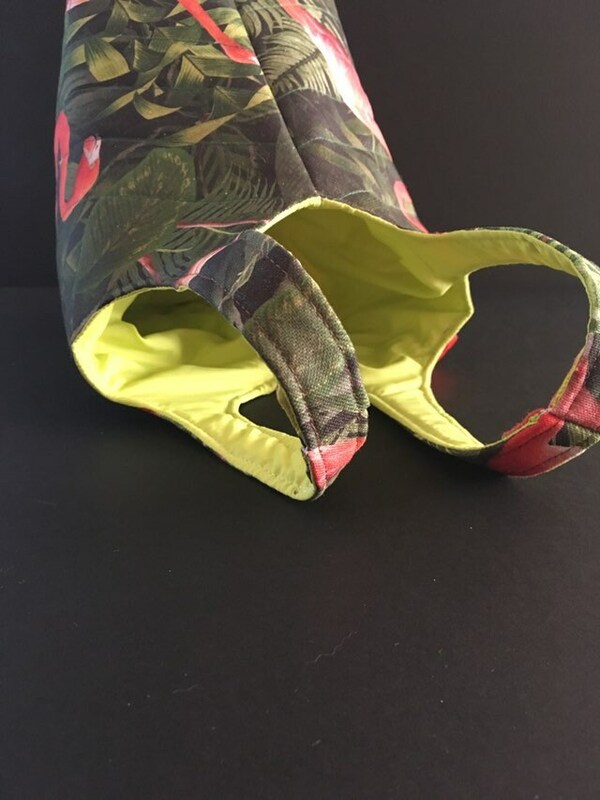 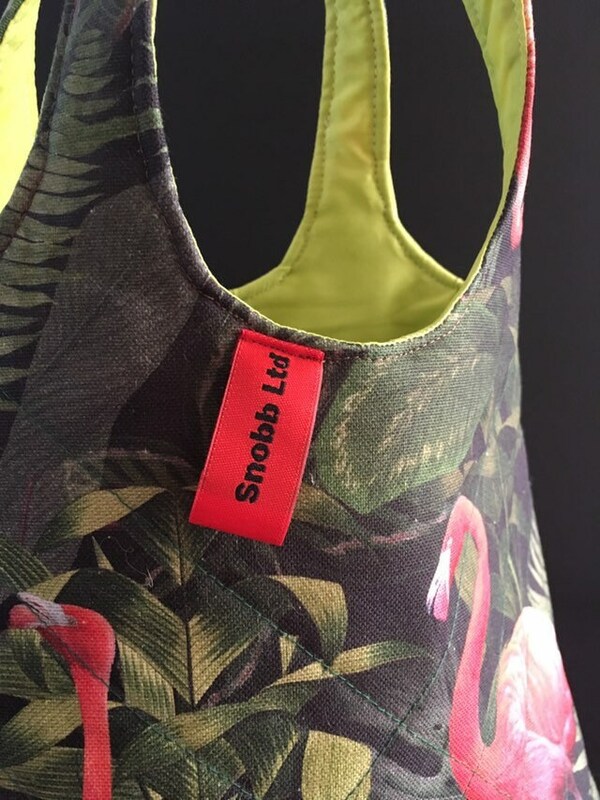 Lime green lining.